For more information about planning a visit, check out our Visitors' Guide or give us a call. We are always delighted to welcome someone to our Mountain. You can also print a copy of our campus map. Just a few miles from I-24, the main artery between Nashville and Chattanooga, the entrance to campus is a portal to another world. Once through the school gates, a winding road lined by ancient trees guides you to central campus, a cluster of Spanish mission style buildings of stucco and red tiled roofs. 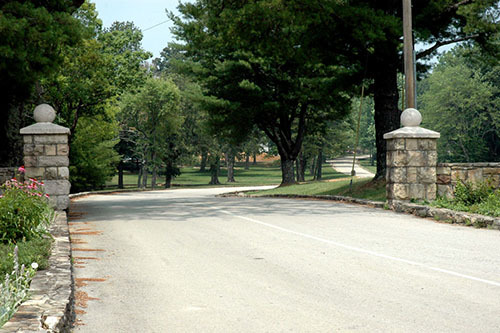 Signs along the road remind you to tune in to 103.1 FM, the campus radio station. On the right you will see the school's Outdoor Chapel, the site for our graduation ceremonies. 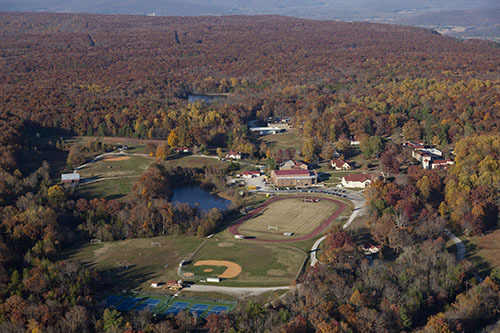 The buildings on campus occupy only a small part of the school's 550 acres. 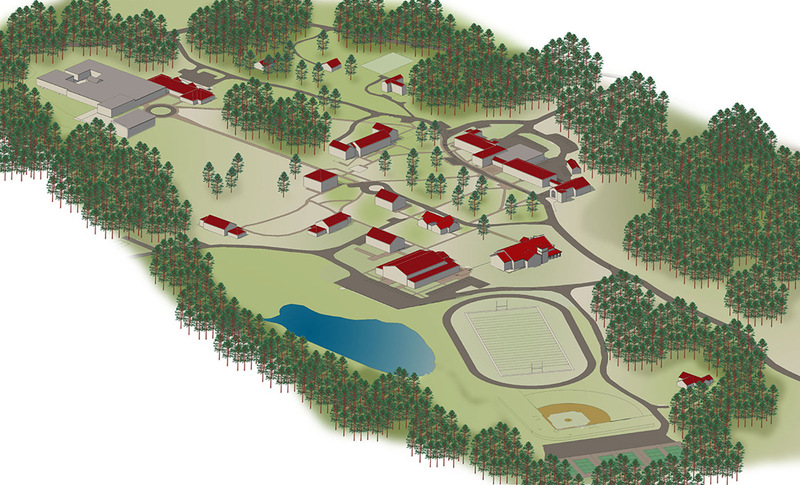 Beyond the built environment, students enjoy trails, swimming holes, stunning views of the valley below, caves, wetlands, even archaeological sites! 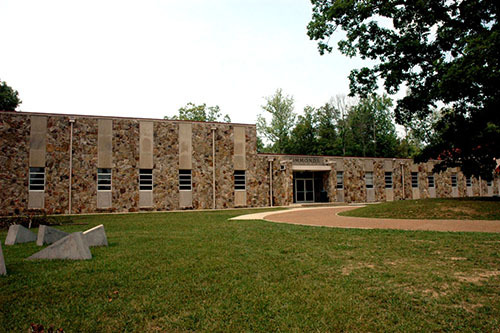 Built in 2000, Bishop Bratton Hall includes four classrooms, the Learning Resources Center, administrative offices, and the faculty lounge/workroom. The Learning Resources Center provides academic support for students needing help with organizational skills or specific subject matter. McCrory Hall for the Performing Arts is an elegant and acoustically-rich performance space. It is the school's primary venue for concerts, plays, and lectures. The building also includes a music classroom, green room, a film/photography classroom, and opportunities for students to explore technical theater. The performance hall seats more than 300 and is the site for the school's beloved Creative Expression Assemblies, an opportunity for students to share their many talents with the community. 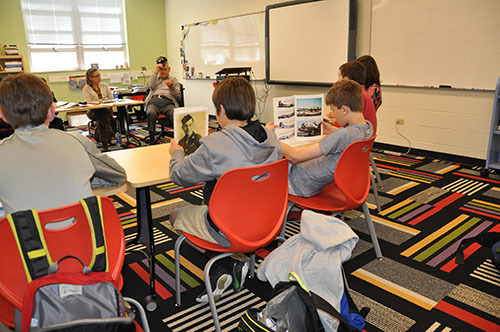 The brightly decorated Reishman-Chamberlain Wing houses the humanities classrooms for our Middle School. Larger than our average classrooms, these rooms are designed specifically for the needs of our youngest students. 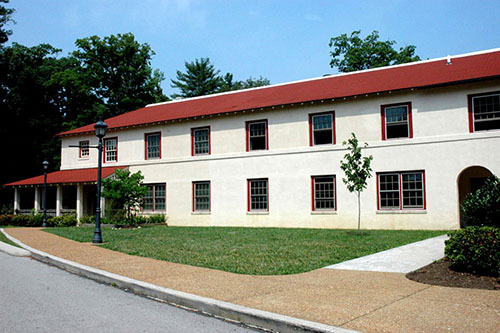 Simmonds Hall houses numerous classrooms, the Agee Library, the SAS Gallery, the Tech Lab, and naturally-lit art studios. The Tech Lab is both a PC and Mac environment and support is provided for both platforms. A few highlights of the building include: the Agee Library with more than 30,000 volumes and access to all of the holdings of the University of the South and several other colleges; the art and clay studios; and the SAS Gallery which displays the work of students and visiting artists. Art works and student collaborations with past visiting artists may be viewed around the building and around campus. Built as a single court gymnasium in 1929, in 1981 the Boyd Gymnasium was renovated and adapted for use as a theatre, complete with costume and set shops, make-up rooms, and storage for props and costumes. 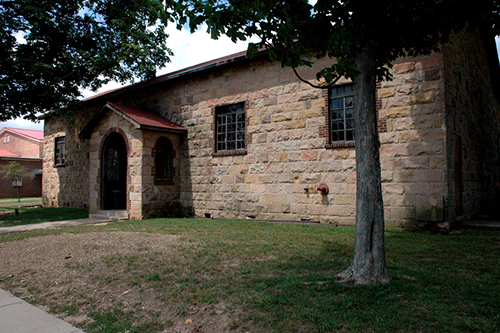 Students prepare numerous plays and musicals in this historic facility for performance in McCrory Hall. LEED Certified Gold for its environmentally-conscious design, Wade Hall for the Sciences is an on-going experiment and learning tool, a case study in applied sciences and used as an integral tool of instruction that illustrates a variety of engineering and scientific principles. 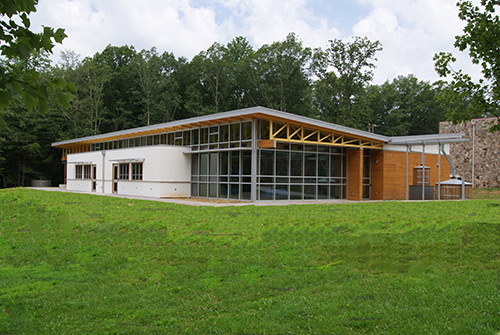 Wade Hall provides five bright and engaging laboratories and an outdoor classroom. 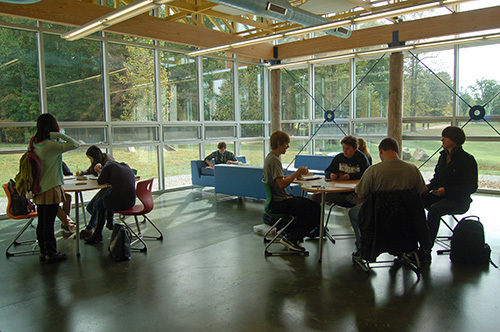 The building's commons is a popular location for students seeking a pleasant and naturally-lit location for studying between classes. 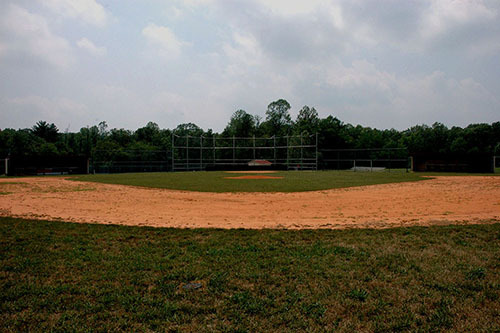 The fenced baseball field includes both home team and visiting team dugouts. The Bouldering Cave offers students opportunities to safely practice their climbing skills no matter the weather. 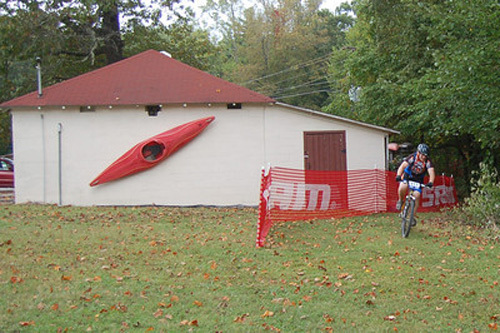 The Mountain Biking Shed is home to our Varsity Mountain Biking Team and houses a shop for repairing and maintaining bikes. 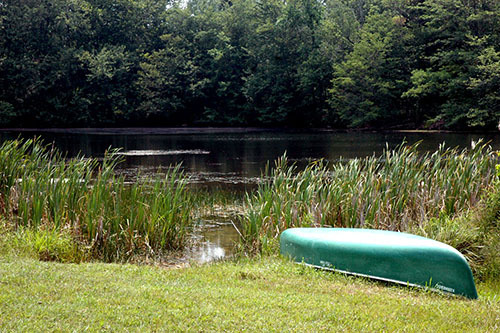 The smaller of the campus's two lakes (the other being The "Res,") Gunn Lake provides opportunities for outdoor science labs and fishing. Trails surrounding the lake are popular for hiking and mountain biking. 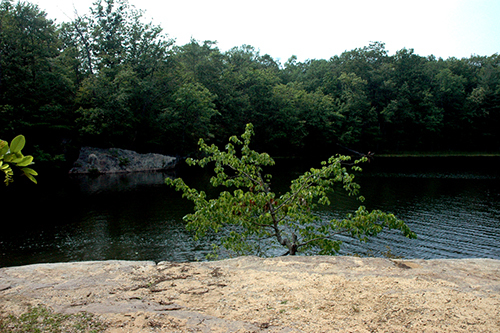 Known to students and the local community as The "Res," the campus lake is used as an outdoor laboratory for biology, chemistry, physics and Adventure Education classes, as a ready landscape for drawing and painting classes, and as the campus swimming hole. The many trails that loop around the lake are popular for mountain biking and hiking. The "Res" is so popular that it was once featured in Southern Living magazine. 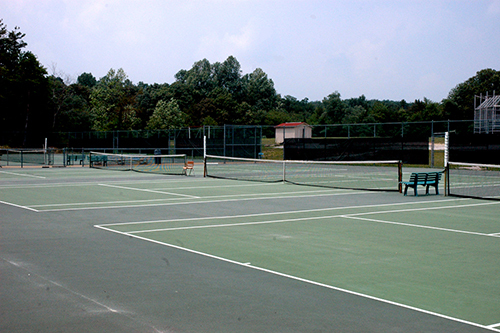 The school's six tennis courts were built in 2000. Sarah's Shade, built in memory of a former student, provides a viewing platform and shade for tennis fans. Built in 2000, the six-lane, all-weather track surrounds the varsity game field. 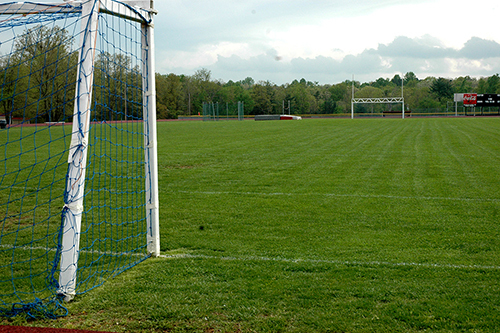 In addition to the varsity field, there are two practice fields, one for football and one for soccer. 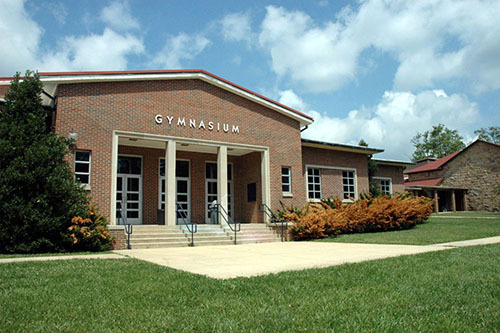 Renovated in 2000 to better accommodate the school's many sports teams, the gymnasium houses a basketball/volleyball court, wrestling room, weight room, locker rooms, indoor batting cage, athletic trainer's room, the Athletic Director's and coaches' offices, and the Sports Heritage Room. 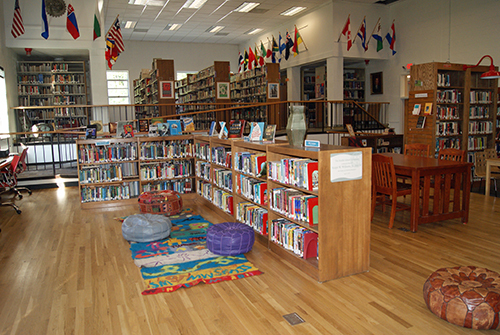 The Owen Student Union provides a central gathering space for Upper School students. The Union includes billiards, ping pong, foosball, cable TV, and a fully-stocked and equipped kitchen. The stone fireplace at the center of the building is a popular winter hangout. 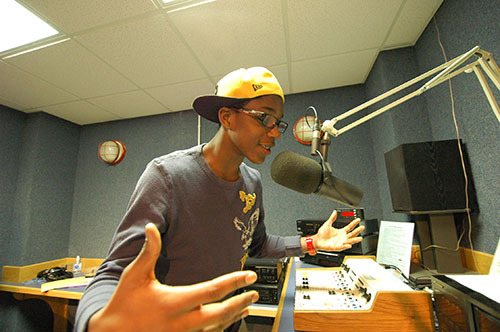 The first floor of the Union is home to the studio for 103.1 FM, the school's student-operated radio station. The school's Health Clinic, accessed by a separate entrance and staffed by two nurses, is also located in the Union. Just outside the Union is a sand volleyball court and basketball court. Each day, students and faculty gather for meals in the historic Robinson Dining Hall which was built in 1931. The building is adorned with class banners designed by each graduating class. Students and faculty enjoy delicious and healthy food while seated at tables much like those that were present for the monks who founded St. Andrew's School. 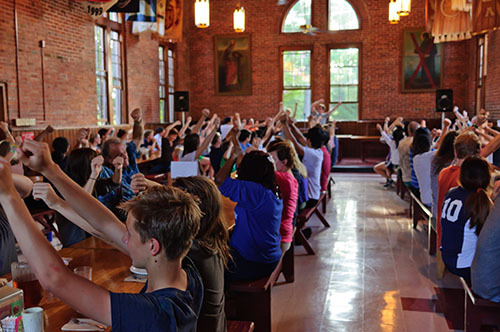 Once each month, boarding students and residential faculty enjoy a more formal family-style dinner followed by a town hall meeting. 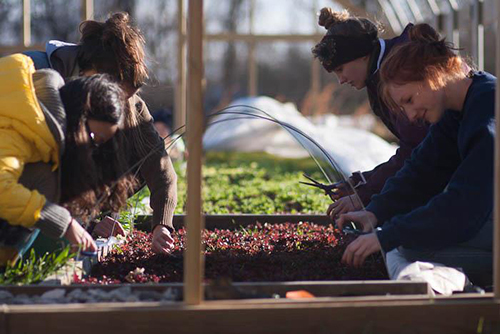 The SAS Farm provides students with hands-on opportunities to learn about sustainable agriculture and farm-to-plate philosophy. The farm is maintained by students in the farming Afternoon Program under the direction of a lead farmer. 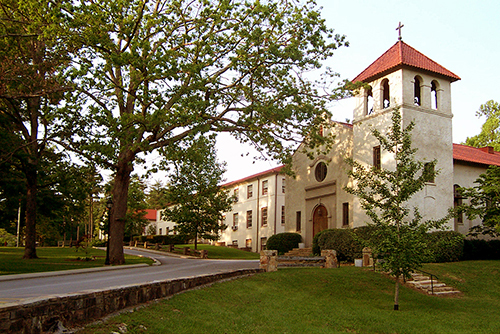 The oldest building on campus, St. Andrew's Chapel, was built in 1913. The building was a gift of St. Mark's Church in Philadelphia. It was designed by Horace W. Sellars and modeled on the Presidio Church in Monterey, Calif. The reredos behind the altar and many of the altar pieces originally resided in The Church of the Evangelists in Philadelphia. 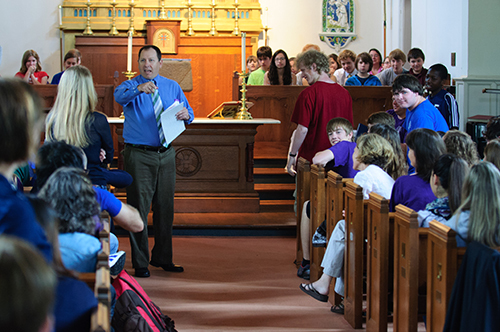 The spiritual center of our community, students and faculty gather in St. Andrew's Chapel for worship, school meetings, and presentations. It is an SAS tradition to ring the chapel bells in preparation for worship, on Armistice Day, and whenever an SAS team wins. The Chapel also includes the Lady Chapel, a space for contemplation and the site of the annual Morning Watch, another SAS tradition. 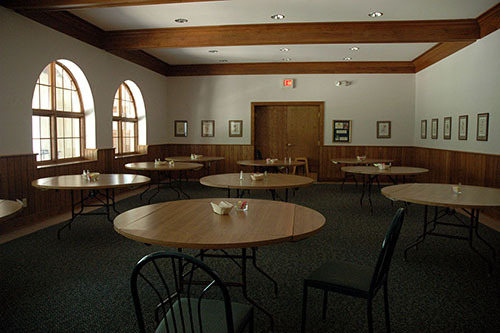 Tucker Dining Room is a smaller dining area designed for meetings and special events. 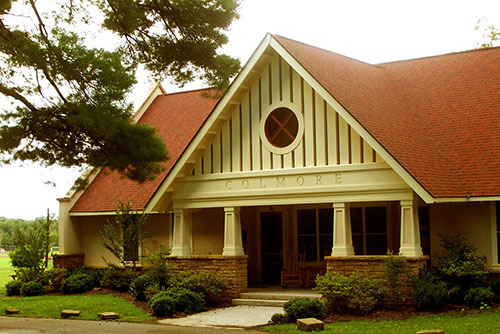 Colmore House is home to 12 students and one faculty family. 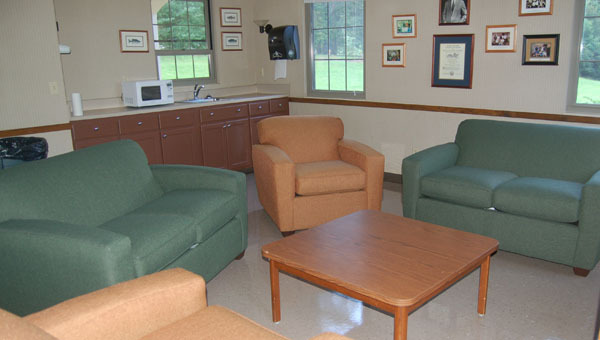 Its large inviting commons room is a popular gathering place for residents. The house features six double rooms, a commons room with kitchen area, a study, laundry facilities, cable TV, wifi, and a common bathroom. In all of the residential houses, students take great pride in personalizing their rooms to fit their personalities and taste. 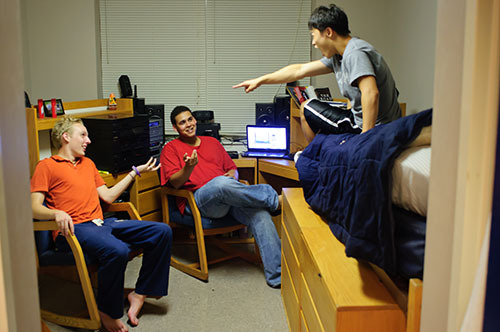 Students enjoy the camaraderie of living with their friends and classmates. The upstairs Common Room is a favorite hangout for gaming. A downstairs study room provides space for students working on group projects. 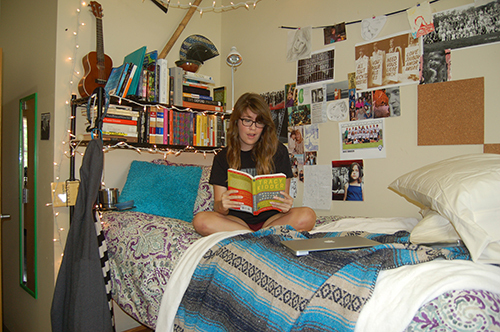 Prized for its proximity to the dining hall, Harvey House is divided into two student houses. 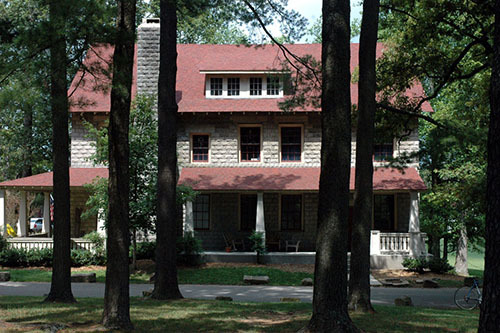 Upper Harvey is home to 15 students and two faculty families. Lower Harvey is home to 12 students and one faculty family. Each floor has a commons room, cable TV, wifi, and a common bathroom. The building shares one laundry facility. 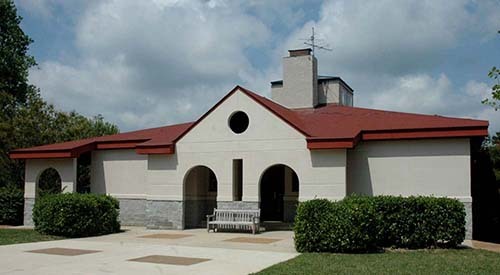 Built in 1996, Watts House accommodates 12 students and a faculty family. The house features six double rooms, a commons room with kitchen area, a study, laundry facilities, cable TV, wifi, and a common bathroom. 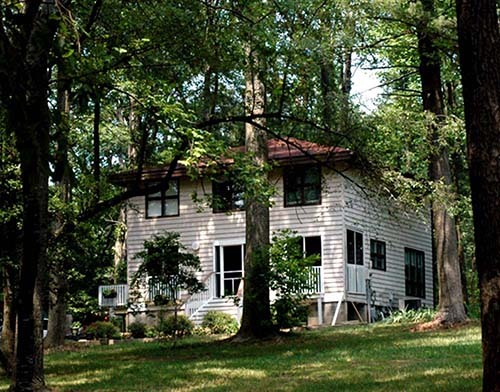 Built in 1996, Woods House accommodates 12 students and a faculty family. The house features six double rooms, a commons room with kitchen area, a study, laundry facilities, cable TV, wifi, and a common bathroom. 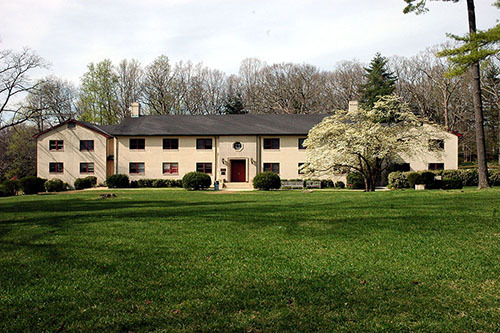 The School's largest residential house, St. Mary's Hall and Warner House is divided into two houses, each with 20 students and two faculty families. Similar to other houses on campus, Warner and St. Mary's contain amenities such as washers and dryers, cable television in the commons rooms, wifi, large closets, and two common bathrooms. 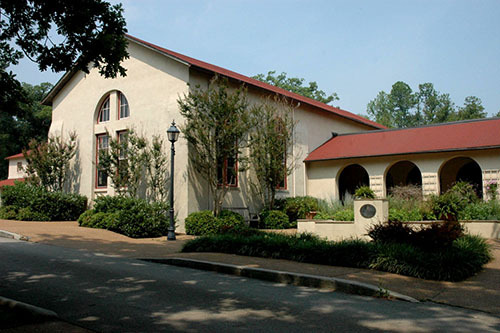 Home to the Admissions Office and the Head of School's Office, Langford also houses the Development, Alumni Relations, Communications & Marketing Offices, and the historic Spencer Room. 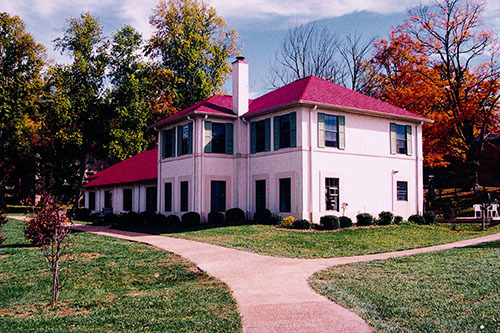 Home to the Head of School, Ayres House is also a frequent location for parent and alumni receptions and student gatherings. Card House was built in 1925 and is currently used as a private residence. Due to its central location, Card House's porch is a favorite hangout for students. 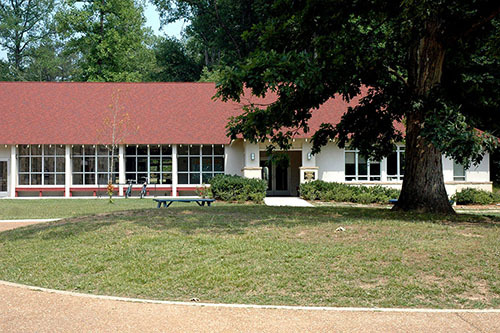 In addition to being the home to the school's Chaplain, Martin House is the location of one of the School's many outdoor classrooms. The school's historic cemetery is located behind the house. In addition to the faculty homes directly attached to residence halls, there are several free-standing campus homes for residential faculty. 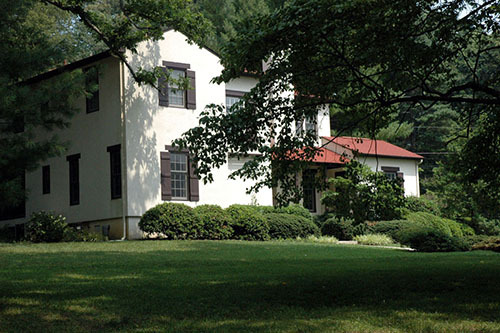 One of these homes, traditionally the residence of the Dean of Students, has particular historic significance as former home to Father Flye, immortalized in the writings of James Agee, one of the school's most celebrated alumni. 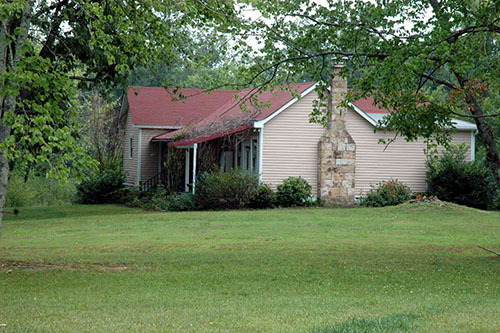 In 2006, the house was moved from its original location to make room for McCrory Hall.